A Broward judge ordered the county's elections chief to turn over to Rick Scott's campaign for the U.S. Senate an accounting of total ballots cast and a breakdown of votes by category — all due by 7 p.m. Friday. Circuit Judge Carol-Lisa Phillips also held that Brenda Snipes, Broward's supervisor of elections, was in violation of Florida public records laws for not fulfilling a request for that information by Scott's campaign. Phillips ordered Snipes to turn over the number of all ballots cast in Tuesday's midterm election, broken down by absentee, early and Election Day votes. She also ordered her to provide the number of ballots still to be counted. The information that Scott's campaign sought in a lawsuit filed against Snipes "should be a matter of record at this time and immediately available," the judge said. The campaign submitted its request for Broward's ballot records on Thursday afternoon, just hours before it filed suit. Lawyers for Scott, Florida's Republican governor, rushed to court Thursday with claims that the top election officials in Broward and Palm Beach counties violated Florida law while counting voters' ballots. Emergency court hearings were held Friday in both counties as Scott continued to hold a lead of less than 0.25 percent over incumbent Democratic Sen. Bill Nelson. About 15,000 votes separated them. Lawyers for Scott's Senate campaign insisted at Friday's hearing in Broward court that that the lawsuit was not about canvassing votes or recounts on the horizon. "It's a simple case about access to information," argued attorney Jason Zimmerman, with the law firm GrayRobinson. "We're not talking about recounts…. This is not a partisan issue." Yet when lawyers representing the Florida Democratic Party sought to intervene in the case on Friday, Scott's campaign attorneys opposed the move. Judge Phillips allowed the Democratic lawyers to argue. "As a matter of law, there is no case in the state of Florida where a public records request had to be satisfied in less than 24 hours," attorney Leonard Samuels argued. "This would be unprecedented." Snipes' attorney, Eugene Pettis, made the same point, while defending the supervisor of elections as acting lawfully within the public records law. "Dr. Snipes never told them that she would not turn over the information," Pettis said. "Dr. Snipes is not in violation of any statute. She's going to fulfill her duties in a reasonable time." Judge Phillips — the wife of former Fort Lauderdale Mayor Jim Naugle, a Democrat — said Florida public records of ballot totals and breakdowns should be available as soon as the polls close on Election Day. She cited Florida statute and a major South Florida appellate case that said "the court should rule in favor of disclosure rather than secrecy." The Rick Scott for Senate's lawsuit zeroed in on that point. "The lack of transparency raises substantial concerns about the validity of the election process," the suit said. In the Palm Beach County case, Scott claimed Supervisor of Elections Susan Bucher failed to allow his campaign to inspect potentially damaged absentee ballots mailed in by overseas military members and others. His campaign also asserted that Bucher's office violated the law by determining whether those mail-in votes were valid, instead of having the county's canvassing do that. Palm Beach County Circuit Judge Krista Marx ordered on Friday that any ballot that Bucher or her staff disqualifies will need to be reviewed by the county's canvassing board. Marx also ordered Bucher to provide a list by 4 p.m. Friday of everyone who voted by provisional ballot. On Thursday evening, Scott accused "unethical liberals" of trying to steal a U.S. Senate seat from him, as his campaign filed the two suits alleging Broward and Palm Beach elections officials refused to release details on voting tabulations and hindered the processing of absentee ballots, respectively. "I will not sit idly by while unethical liberals try to steal this election from the great people of Florida," Scott told reporters as he stood outside the Governor's Mansion at a hastily called news conference in Tallahassee. 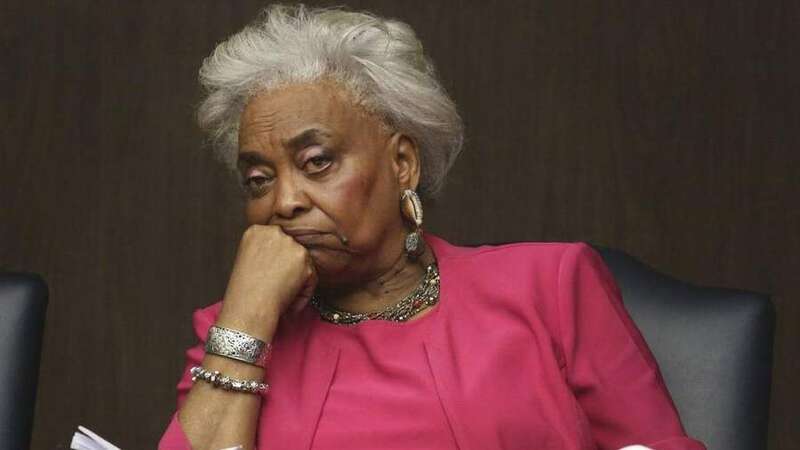 Snipes said all of Broward's votes through Thursday were updated on the county's website but not on the state's, saying she did not know why those additions had not been reflected yet on the Florida Division of Elections' page. The governor's lead over Democratic Sen. Bill Nelson has steadily eroded since Scott declared victory on Tuesday night, and he implied that he would ask the Florida Department of Law Enforcement to investigate the vote-counting process. But Scott has not filed any fraud complaint with FDLE, the agency said, nor has it opened an investigation. Broward has lagged the rest of the state in completing the first, crucial phases of counting ballots from the midterm election. As of 8 p.m. Thursday, the same time the governor summoned reporters to the mansion, Broward County was the only one of the state's 67 counties that had not reported to the state that it had completed its tabulation of early votes. Early voting ended Sunday in Broward. Meanwhile, three statewide races — including Scott's own against U.S. Sen. Bill Nelson — hang in the balance. Scott held a narrow .18 percent margin over Nelson, 15,092 votes. The gap narrowed by about 6,800 votes Thursday as results trickled in from around the state, including Broward. In the governor's race between Republican Ron DeSantis and Democrat Andrew Gillum, the margin shrank from .52 percent to .44 percent Thursday, putting it in the range for an automatic machine recount.